With its movie inspiration webbing up box office money this weekend and our official review forthcoming, I figured it was a good morning to play around with Spider-Man and his amazing friends. 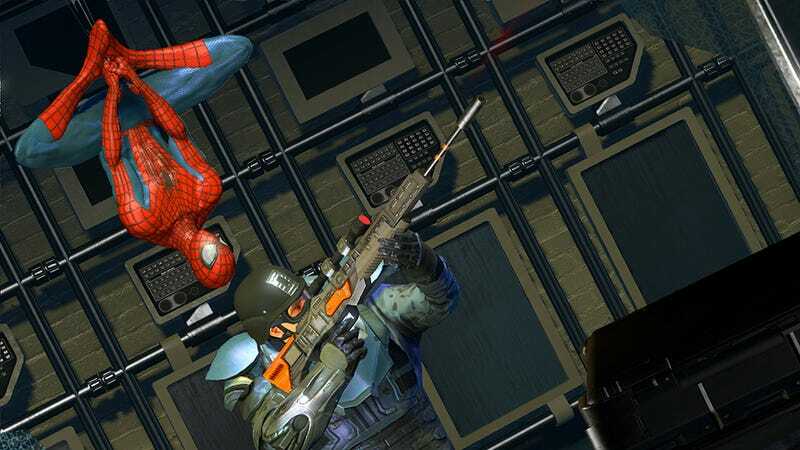 If only there was a Spider-Man and his Amazing Friends game. Iceman and Firestar would be a welcome break from this game's constantly-quipping Peter Parker. At least the web-slinging isn't half-bad. See for yourself in the stream, which should be available below. Update: The show is over, but the archives live on! Thrill as I struggle to get my microphone working! Gasp as I glitch into walls! Shed a tear as I cry over technical issues!